Howard Hansen, born and reared at La Push, WA until age 14, passed into the Spirit World July 16th, 2018 attended by his wife Joanne, and a care giver. Many friends and relatives with Ceremonies and Songs reflecting his beginning amongst the Quileute people helped him along on his way. A Celebration of his Life is scheduled for Sat. August 11th 2018, 1:30- 4:30 at the Ballard Elks Club 6411 Seaview Ave NW, Seattle. As a youth Howard was brought to Seattle from La Push by John Hansen, a Danish boat builder in Ballard. John taught him wooden boat building: a trade he followed up and down the west coast till retirement from Foss Shipyard. Howard was on the board of the Shipwrights Local 1184 for several years. Howard also involved in running boats and fishing along the Pacific Coast, and traveled the world as a Merchant Seaman during WWII. An artist from his beginnings Howard got a scholarship to Otis Art Institute in LA. Later he got a degree to teach art at the UW where he met his 2nd wife, Joanne, also getting a degree there to teach art. He taught one splendid year at James Monroe Junior High School. Years later, after retiring from Foss, Howard began teaching art for free to seniors at Senior Centers. Eventually he joined Seniors Making Art and taught many classes for them until they closed their foundation, as their favorite teacher. 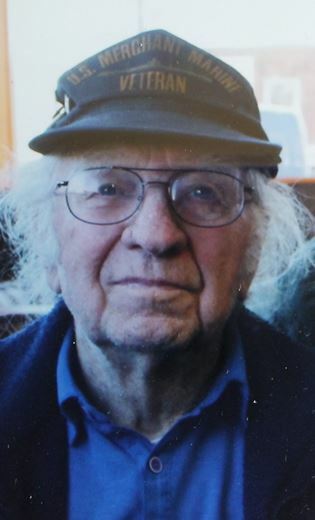 He continued teaching drawing at Ballard Senior Center, and then at Artist and Craftsman Supply and a private class on Lake Union until a few weeks before his passing. For about 15 years Howard served on the Board of the Seattle Indian Health Board. He used his storytelling there to help bring balance to the discussions. I am grateful to SIHB and the clinic and doctors for gifting Howard with 2 years more beyond his diagnosis of throat cancer. It was they that connected with Providence Hospice of Seattle who sent very special people to the house to minister to him. I am also grateful to the VA, who arranged for vital care for Howie from caregivers near the end. 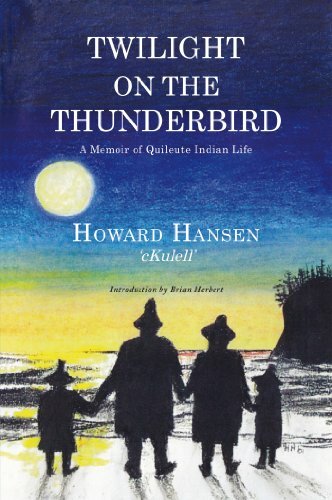 He always maintained in his heart and being the teachings of his Quileute Elders and the wisdom of John Hansen. At the Celebration of Life if you have a story to share either by telling or leaving in written form please feel free to do so. It is going to be a potluck if you wish to bring something. Otherwise there will be nibbles. In lieu of flowers if you want to donate to the Seattle Indian Health Board or the NW Senior Center, thank you. His wish is for his ashes to be scattered to the Ocean at the mouth of the Quileute River beside Ah-kah-lat on the outgoing tide. I had the honor of taking numerous drawing classes from Howard over the last eight years. Solid fundamentals of drawing were the least of what he gave me in those classes. He would tell us stories of his childhood on the reservation, and recount adventures he had as a younger adult. Sharing his native culture was a profound experience for me. I cried the last day of the first class I took, sad that it was the end of a great experience. Of course it was not the end - I took several more classes with him and enjoyed every one up until less than a year ago. He was a very special person and I think of him often. Rest in peace, Howard. Howard's life was full of adventures, and and even more so, friends. You had to love the guy, and I sure did, I will remember him for his wonderful spirit, solid values, many stories and warmth. Howard had a disproportionately large place in my life for us not having spent that much time together. It may have been the same for him. Howard was one of the most intensely present people I’ve ever met: he looked you in the eyes, looked you in the heart, mind and spirit. We met in my Writing Your Life Stories class through Seniors Making Art—-where Howard also taught, and he distinguished himself immediately. I was writing my name on the blackboard, and wondered out loud if I should put PhD at the end of my name—-Howard said, why not Dr. J, you earned it, didn’t you. And there he had given me a nickname that has stuck since. That’s Howard: instantly sizing up the situation with gravitas, playfullness, an intense presence of mind and spirit. I loved Howard right away. He took care of the elderly people in the class, though they were all younger than him. Made sure they were seen and heard, valued. We had such a wonderful group of people at the Wallingford Center, each of us really appreciating each other, and I remember Howard announcing one day, “look around this table: we have over 1,000 years of human experience here. God that’s beautiful!” His energy was beautiful & infectious, and he valued everone’s experience. Paid attention to it, was alert to life. I don’t know anyone who had his zest for life, his energy. No long after we met, he stayed after class and spent several hours explaining and writing out the Quileute spiritual system on the blackboard. He had a remarkable mind and an ability to recall a book or event 50 years back. And he had the energy of someone half his age. I remember sitting out with Howard on Market street in Ballard on eafternoon, having soup and a sandwhich. Out of my sight, a drunken younger man was accosting an old man as they walked by us. The belligerent guy started pushing the old man. Like lightening Howard rocketed out of his seat and punched the attacker. He made sure the “old man” was alright. Howard was 86 at the time. My dear friend, I do go on loving you, and thank you for making my life deeper, more spiritual and joyful. I consider myself to be a very lucky woman. I was fortunate to have been in Mr. Hansen's 8th grade art class at James Monroe Junior High School in 1978, and grew up across the street from him, where my parents still live to this day. After visiting with my parents over the years, I would run into Howard occasionally, and he was always a treat to talk to. The old neighborhood will never be the same now. God bless you Howard, you will definitely be missed.